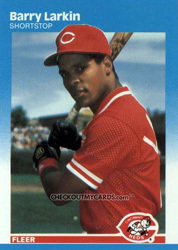 Growing up a Cincinnati Reds baseball fan, I always wanted to play shortstop like Barry Larkin. So I naturally sought after his baseball cards. Including Barry's hologram card, his rookie card and every other special/limited edition card I could find. Baseball cards were just a part of growing up for me and I would say most boys had some sort of sports/game card collection in hand. I still have my most valuable cards, from Griffey to Pete Rose, the Diamond Kings and Nolan Ryan's 500 strikeout cards. 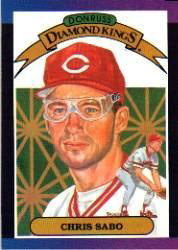 I am still amazed by the novelty of the Chris Sabo Diamond King card. 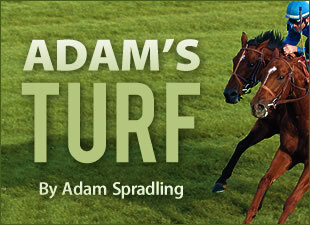 Anyway, what does this have to do with racing? 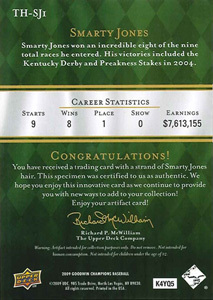 What if all the graded stakes winners had a collector's card made for them? It is true our sport is rough when it comes to marketing its self. Here is a new idea that I think is a great idea. I don't need to write much on it, because the blog I will point to says more than I need to say. 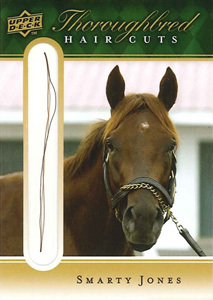 Thoroughbred trading cards by Upper Deck are here. "Big Deal" you ask, BUT, and a BIG BUT; they contain a few strands of the horses' hair. Upper Deck), blog post on the new cards. I enjoy a nice glass of wine with a good meal or in celebration. So when I heard Mike Smith is in the wine business, I just had to investigate. Fans of the Jockeys show on Animal Planet know that Mike enjoys a glass of wine with company at dinner. Mike's wine is named Jinetes. Jinetes is Spanish for horseman. Mike also mentions his wine briefly in our new podcast if you wish to hear what he says about his new line, how the idea arose and how excited he is about Jinetes. We have a new community page, so if you do not have twitter, you can see us tweet there. Or find blogs, tweets, multi-media all in one place. It saves time from scanning the long webpage, so bookmark it.